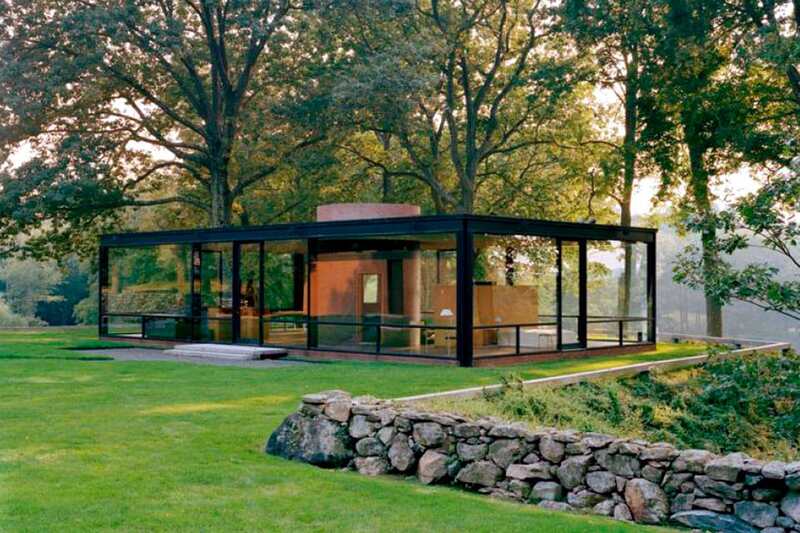 The Glass House is a museum of architecture and art in New Canaan, Connecticut, located in an ensemble of buildings owned and designed by celebrated American architect Philip Johnson (1903-2005). 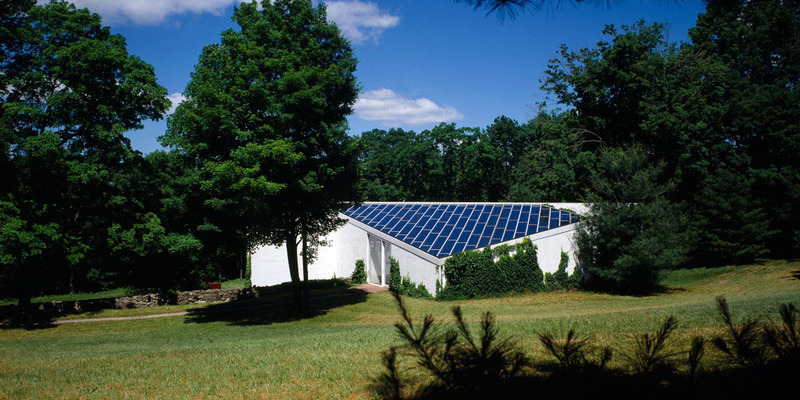 The museum takes its name from the famous international-style building known as The Glass House, which is part of the complex. 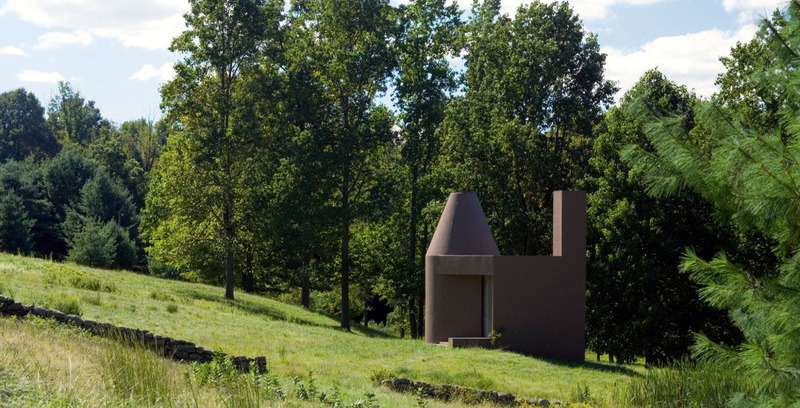 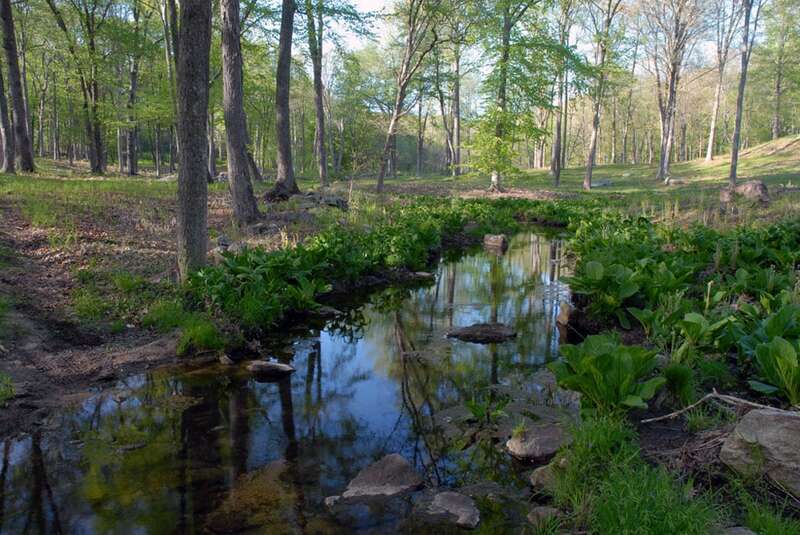 The museum is located in a 49-acre National Trust Historic Site, where a series of buildings, fourteen in total, is surrounded by a magnificent landscape, designed by Johnson with European 18th-century gardens in mind, with beautiful ponds, creeks, knolls, and woods. 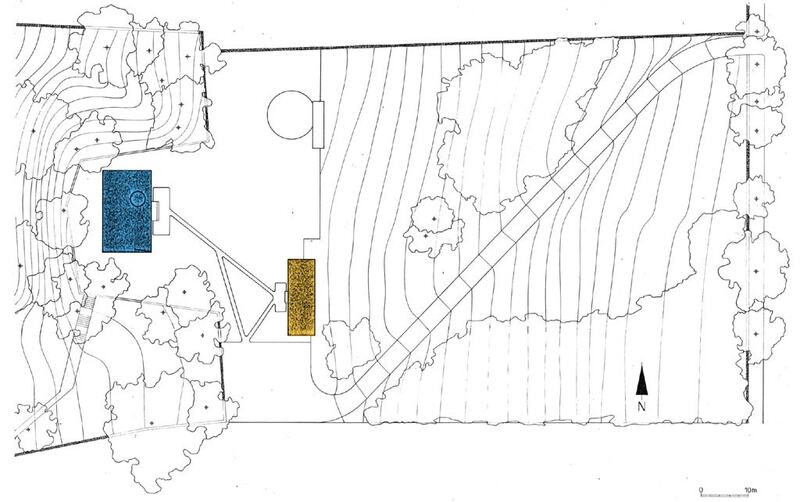 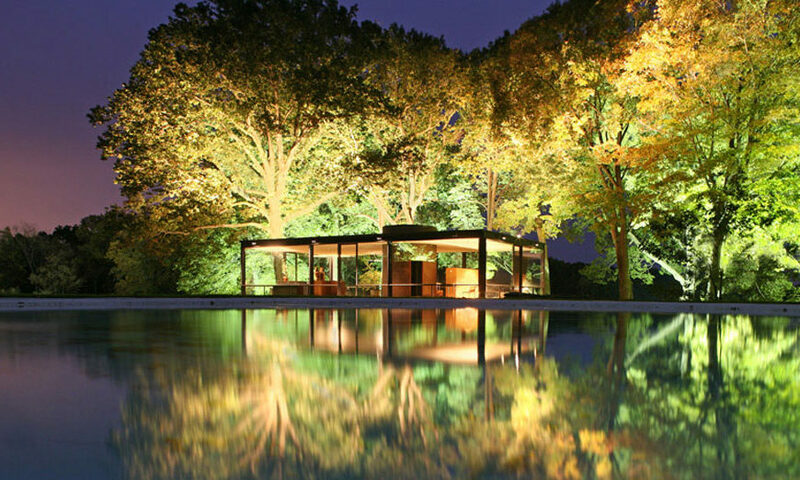 Buildings in the site include the already mentioned Glass House, designed by Johnson in 1945-1949 as a tribute to his mentor Ludwig Mies van der Rohe, the Brick House, also completed in 1949, the Pavilion in the Pond (1962), the Painting Gallery (1965), the Sculpture Gallery (1970), the Studio (1980), and Da Monsta (1995), a black and red building inspired by the sculptural and architectural works of Frank Stella, all designed by Johnson as well. 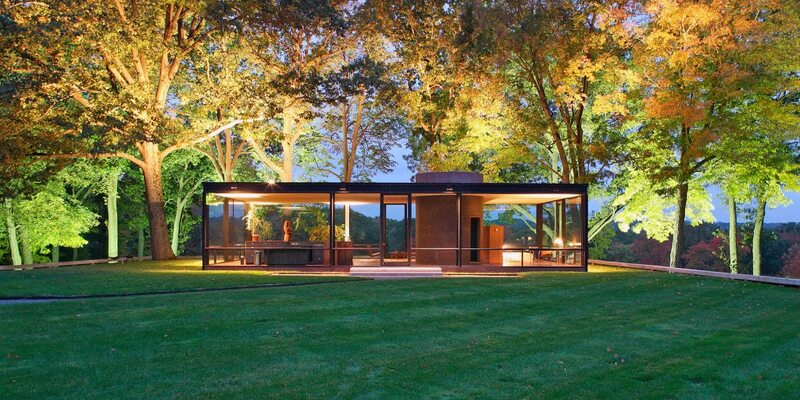 Designed in 1945 and competed four years later, the Glass House is a pavilion-like building conceived “for viewing the surrounding landscape” which was the residence of Johnson himself for almost 45 years, from its completion to the death of the architect in 2005. 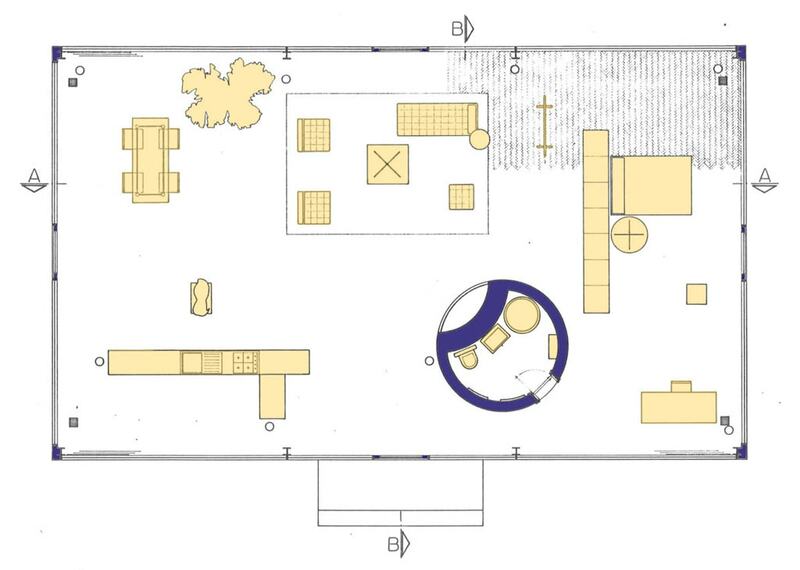 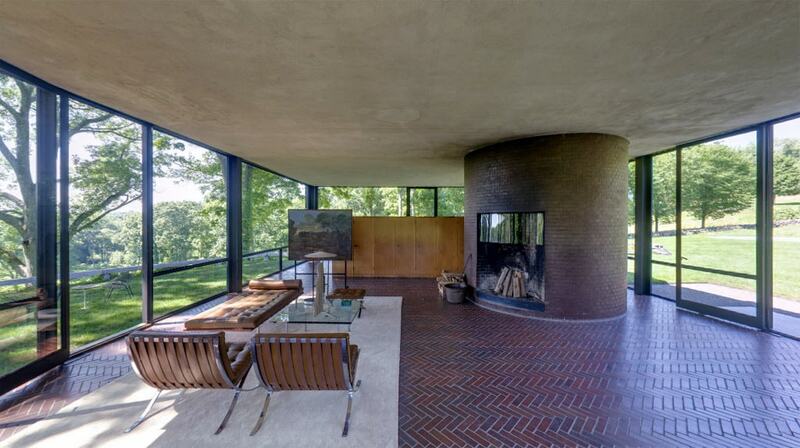 Internally, the house has no separation walls, only the bathroom is an enclosed space; yet, every functional area was precisely identified by Johnson and defined by rugs and furniture. 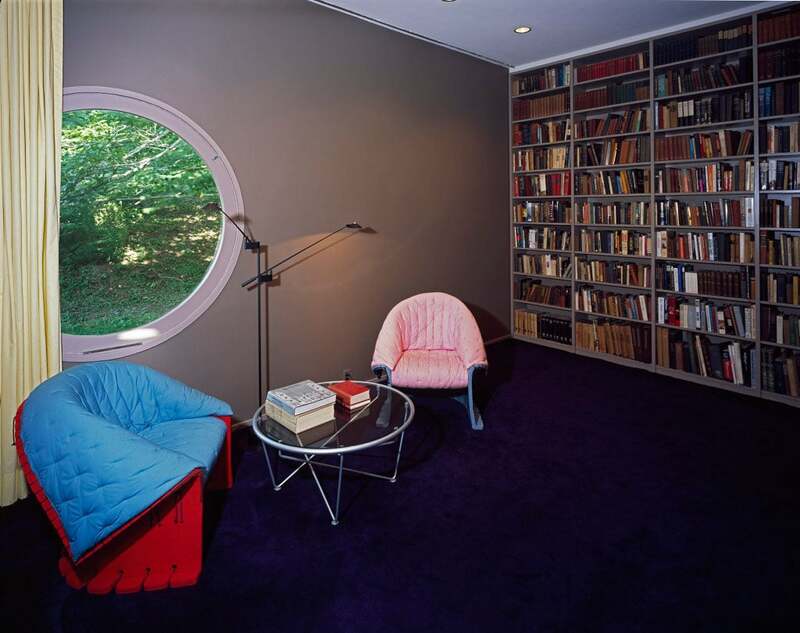 Most of the furniture came from Johnson’s apartment in New York, which was designed by nothing less than Ludwig Mies van der Rohe, whose Barcelona pavilion (1929) clearly inspired Johnson’s design in many aspects. 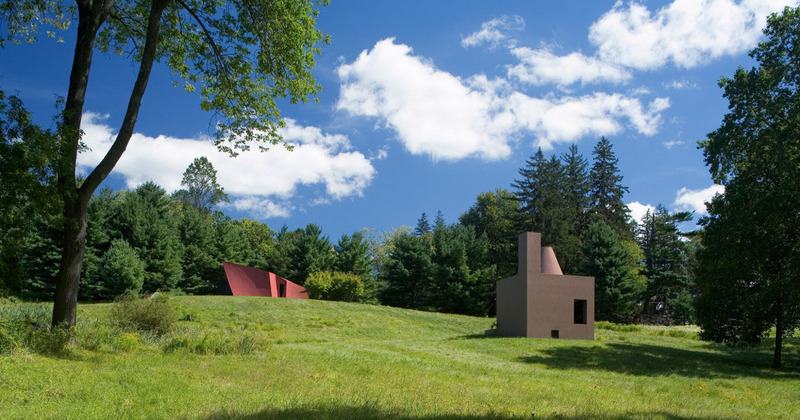 The house is neither a large or an imposing building – with a total gross area of 1,815 square feet (168 square meters) is rather small indeed, at least for the American standards – nevertheless it is widely recognized as one of the masterpieces of the so-called International Style; yet, its strict relationship between architecture and landscape is eminently American. 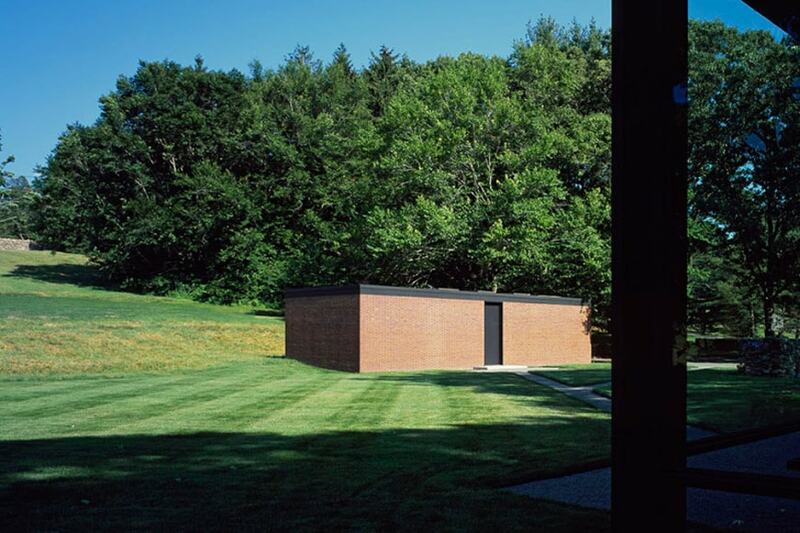 Since the house is rather spartan, a series of auxiliary spaces – including bathrooms, guest rooms, and technical spaces – is located in the Brick House nearby. 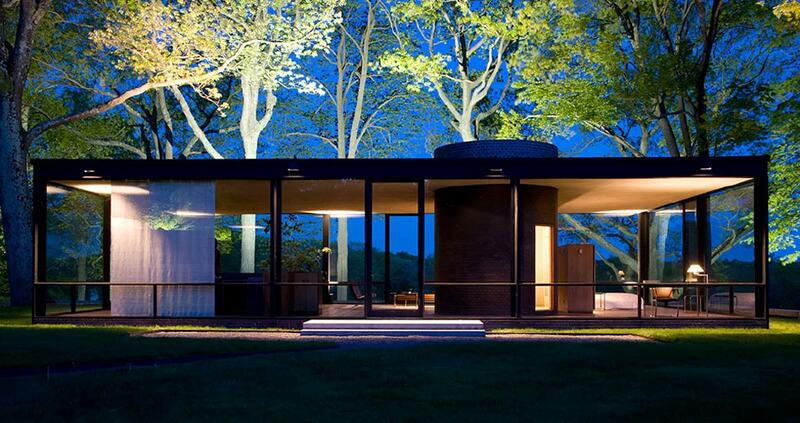 The Glass House complex is both an architectural exhibition of the work of Philip Johnson and an art museum which comprises permanent collections of painting and sculpture. 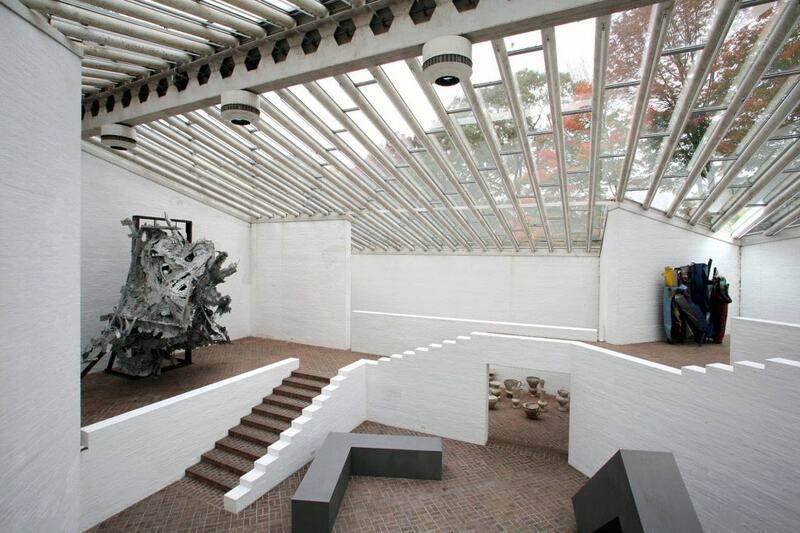 Most of the artworks were collected by Johnson himself together with his lifetime partner, renowned art curator David Whitney (1939-2005). 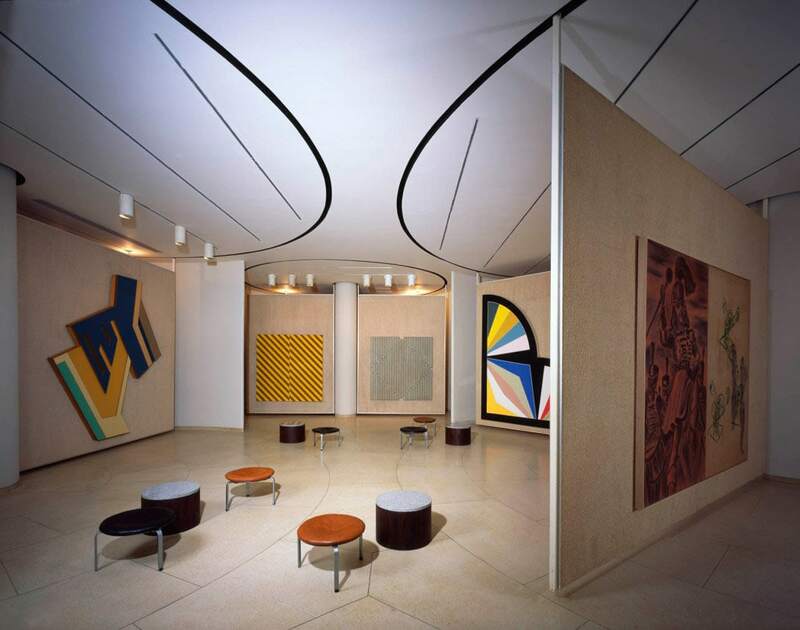 The collection of paintings, housed in the Painting Gallery semi-sunken building, includes pieces by Frank Stella, Andy Warhol, Robert Rauschenberg, David Salle, Cindy Sherman, Michael Heizer, and Julian Schnabel, among others. 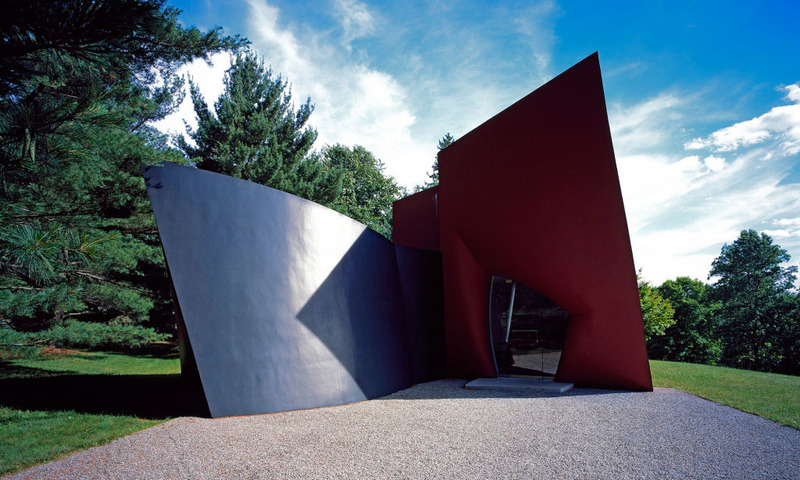 The collection of sculptures, located in the Sculpture Gallery, a building inspired by the humble architecture of Greek villages, comprises works by Michael Heizer, Robert Rauschenberg, George Segal, John Chamberlain, Frank Stella, Bruce Nauman, Robert Morris, and Andrew Lord. 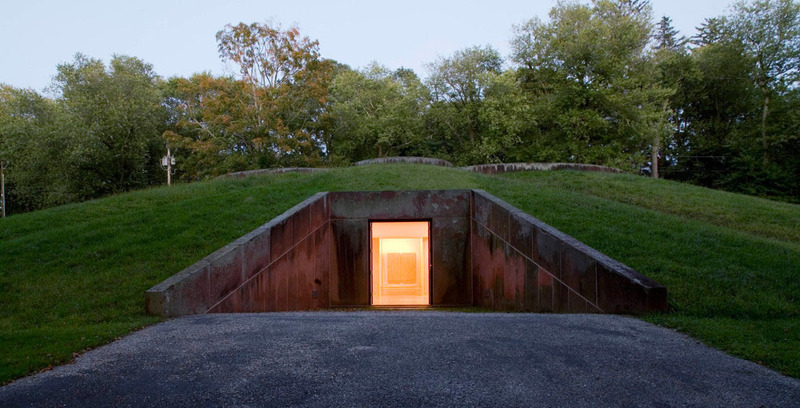 Along with the permanent exhibition, the Glass House accommodates temporary exhibitions and site-specific installations of art and architecture, live performances, and special events.